We specialize in building interactive experiences in collaboration with businesses, organizations, and creative groups who share our commitment to knowledge and opportunity. By listening to ideas, asking questions, and identifying problems, we devise novel, outsize, technology-driven solutions for our partners. To that end, our work is often a combination of strategy, design, and engineering. 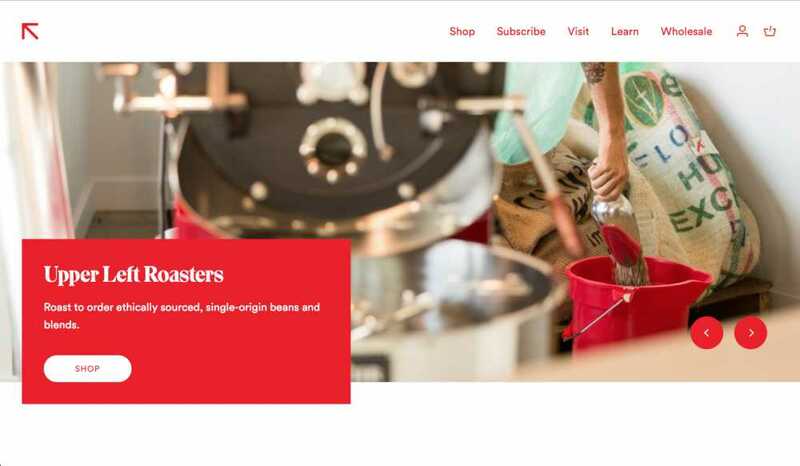 Since we built the original site in 2016, Upper Left Roasters has broadened their offerings and expanded to a second location. 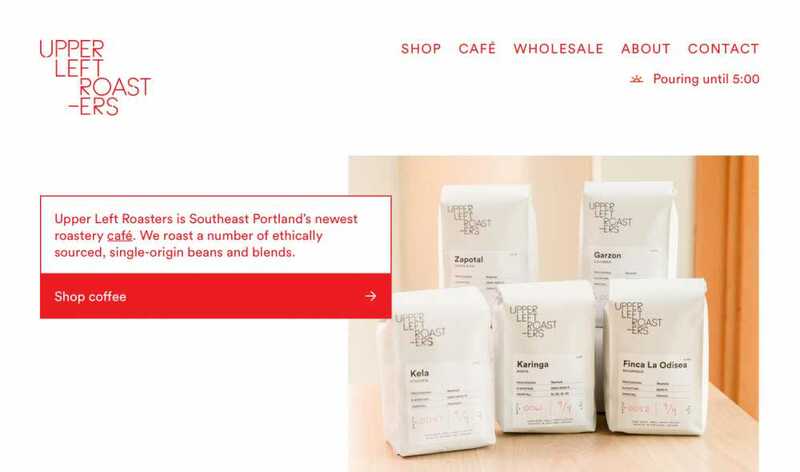 The new platform has been reimagined with a focus on commerce—in addition to their bagged coffee and goods, we designed and built their coffee subscription service, allowing customers to receive their favorite coffee on a recurring schedule. Revery is Portland's preeminent, global creative content outfit. After an initial partnership with Nelson Cash—in which we produced a brand announcement site—we spun off a second phase to build a robust editorial platform that gave Revery the freedom to publish deep case studies with virtually unlimited layouts. The nature of Revery's work (spanning original films, TV spots, instructional content, and other branded still and moving media) demanded a truly flexible system for authoring and organizing these case studies. We worked with James Edmondson, “janitor” at OH no Type Company, to build a custom portfolio website and type sales platform. Despite ecommerce being a traditionally numbers-driven discipline, we had an opportunity to work fluidly, talk candidly, and deliver something hugely personal and vital. 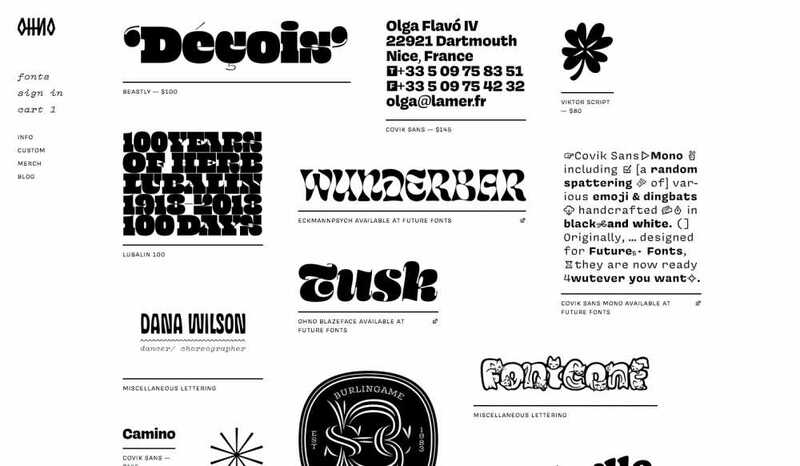 The site launch coincided with the debut of the Beastly, Blazeface, and Covik Sans families. 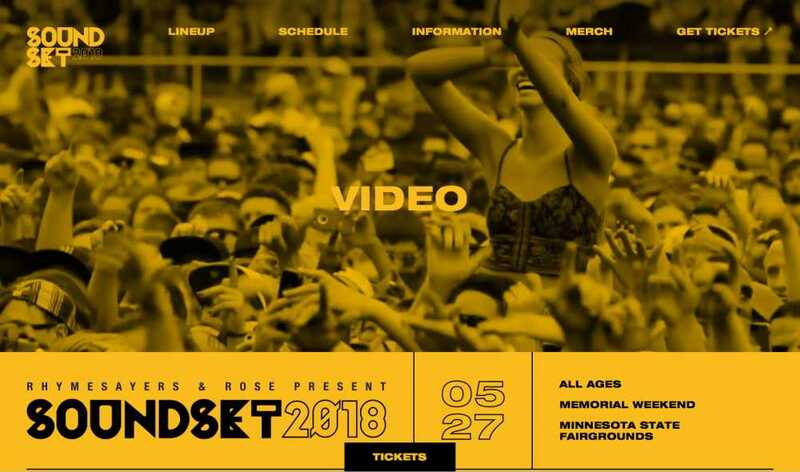 Soundset is an annual, independent hip hop music festival in Minneapolis, Minnesota. Our friends at Rhymesayers wanted to modernize the way they rolled out information about the festival, so we helped design and build a new website, focused on unique experiences before, during, and after the event. Second Sight is an online-only women’s boutique that celebrates inclusive sizing by making small runs of bespoke garments, in monthly “Editions.” We partnered with GrandArmy, a New York-based brand studio, to develop Second Sight’s online shop. 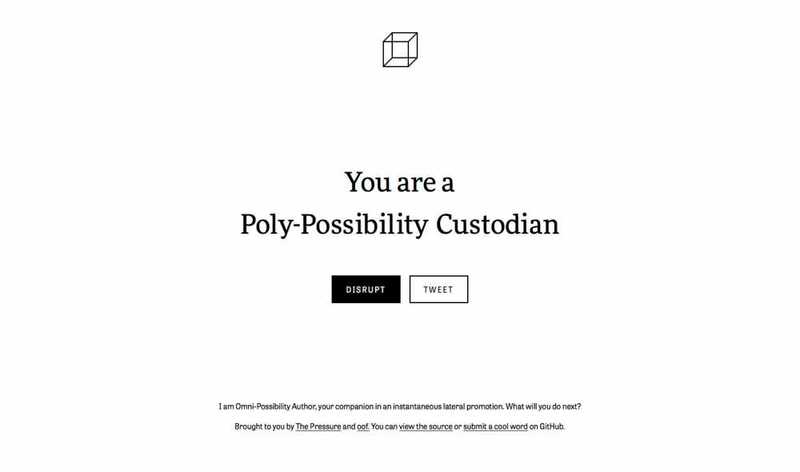 The Omni-Possibility Author is an interactive piece exploring how artists describe themselves. Initial concepts and language were brought to us by Adam Garcia of The Pressure, and we helped bring it to life as an open source website. 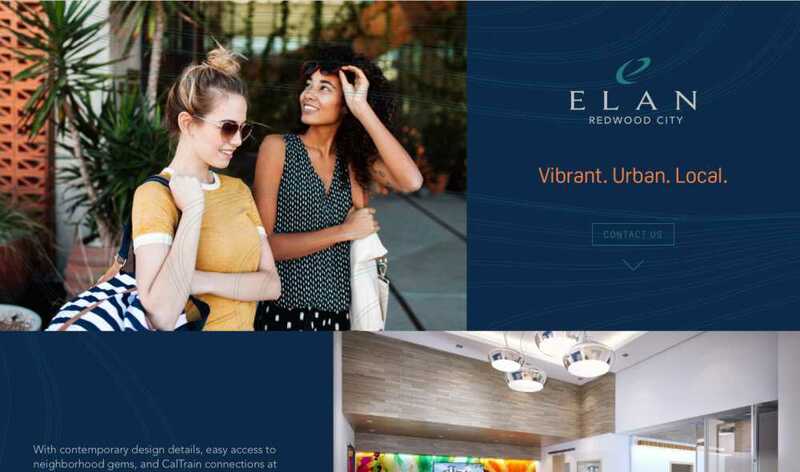 Our friends at Brave New Day have been with us from day one—we've built a number of real-estate adjacent websites, but this leasing site for a new apartment building in Mountain View felt special. It took a new approach to finding an available apartment, and gave us a chance to implement a number of energetic but elegant animations and layout techniques. 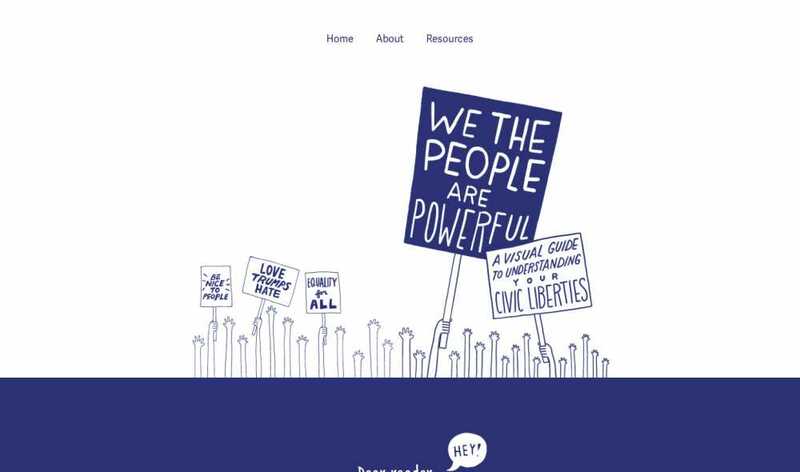 We The People Are Powerful: A Visual Guide to Understanding your Civic Liberties is a resource for citizens, helping them become more actively engaged within their local communities. While the original zine was created to serve the greater Portland area, the website is a growing resource—useful to anyone, regardless of city or state. Benjamin now has a place to add and update chapters on-the-fly, and publish community-contributed resources. A24 is an independent entertainment company based in New York City. 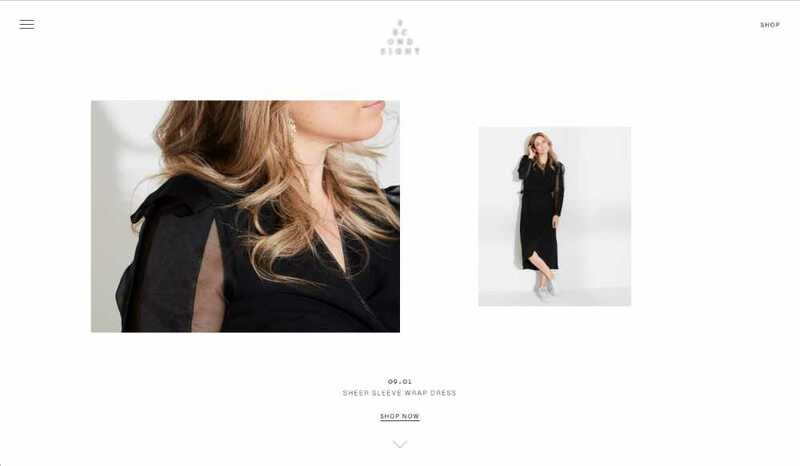 In collaboration with their design partner, GrandArmy, we helped transition A24 to a modern content management system as well as helped them build an online shop and a new editorial platform. 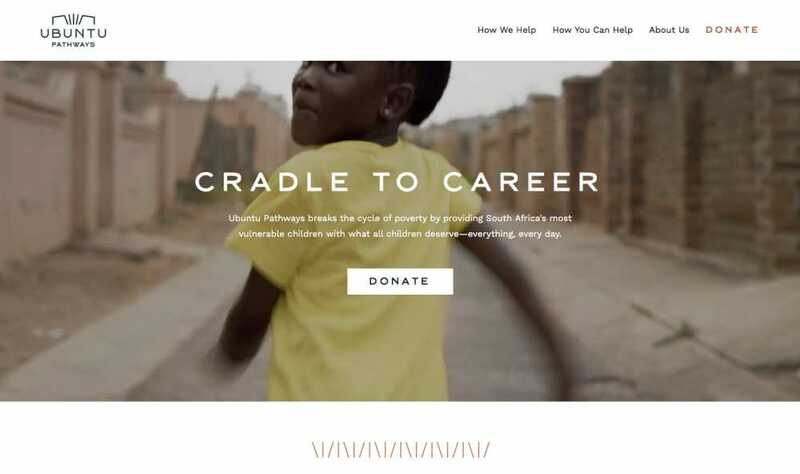 Ubuntu Pathways is a non-profit organization that provides holistic support to the community of Port Elizabeth, South Africa. 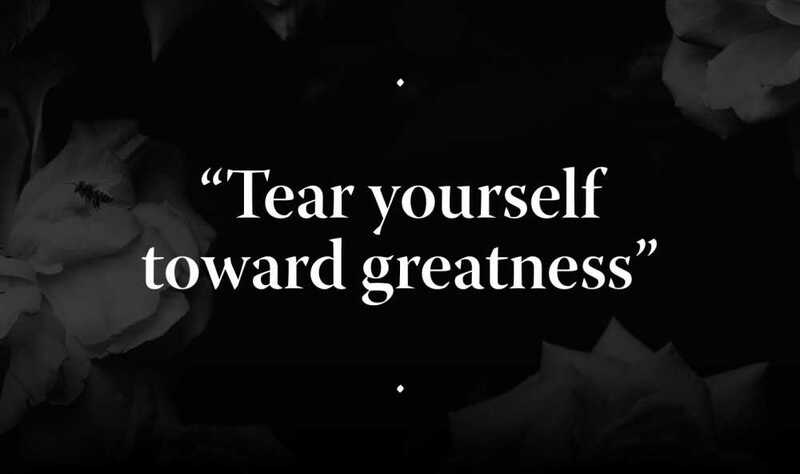 In tandem with the launch of their new name and brand, we built them a new web platform in collaboration with the New York-based brand agency, GrandArmy. 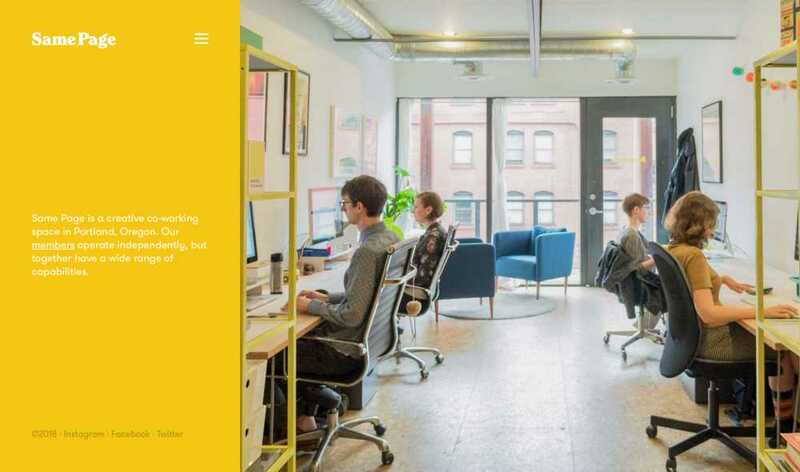 Revery is a creative content studio based in Portland, Oregon. We partnered with Nelson Cash to build a mini-site to announce their new name and look. Their full site is scheduled to launch in Fall, 2018. We've created a wide variety of print and digital deliverables for an ongoing, multi-city live podcast recording tour. Our largest endeavor was developing a custom photo booth experience which led attendees through a professional photo stage, photo selection and annotation (via a custom web application, running on a collection of iPads), which ultimately revealed a map-based visualization of the submissions at the conclusion of the recording. Participants wrote out their entrepreneurial aspirations on dry erase boards and had their photograph taken. After taking their photo, attendees got to annotate their portrait on one of the iPads. Their photo was then added to a digital map, and revealed to the audience at the end of the recording. We contracted our studiomate Cielle Charron to help us with a custom animation for the marquee at the SVA Theatre in NYC. Brave New Day asked us to be their development partner for a new apartment building in Redwood City, CA. Despite being a single page, the design included some interesting overlay effects which demanded some careful logic to get right across a variety of screens. oof. 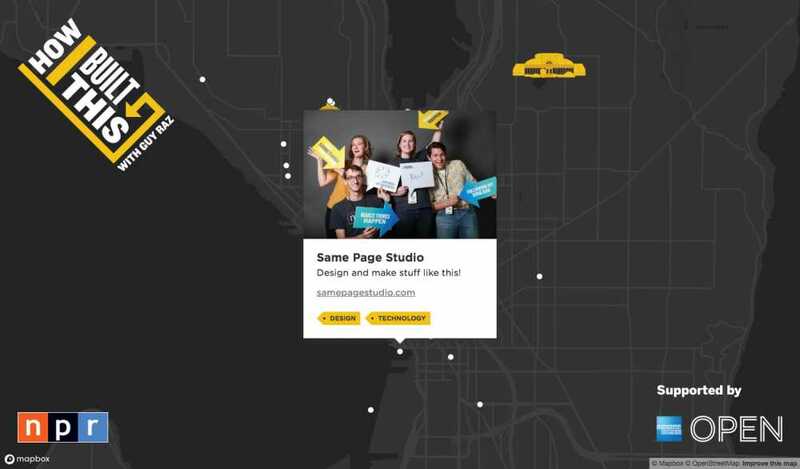 is just the two of us—but we're part of a creative co-working space called Same Page Studio. Same Page existed long before we were members, but had never had a home on the internet, so with our studio-mates Cielle Charron and Michelle Leigh, we designed and launched an informational landing page for us… and any future members! Psst! We have two desks available, starting December 11. Rhymesayers is a hip-hop record label from Minneapolis, Minnesota. 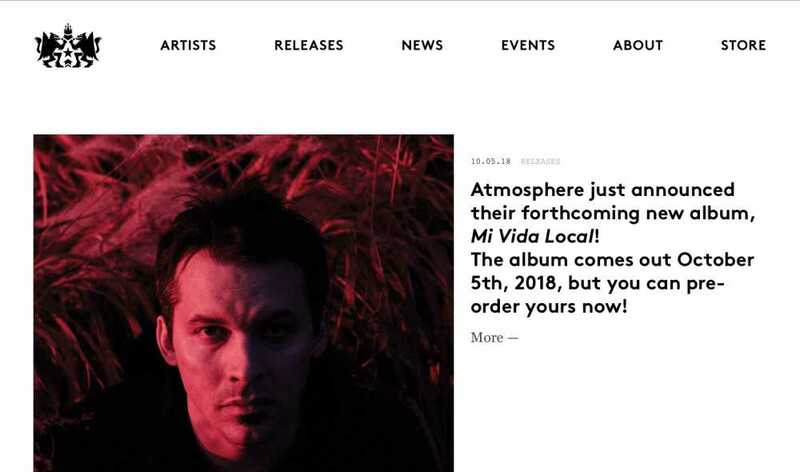 We partnered with The Pressure to design and develop a new platform to showcase their deep roster of musicians, and over two decades of releases, news, and events. Since, we've extended the site with flexible publishing tools, which lets editors draw together assets from their virtually bottomless well of multimedia to create fresh, compelling stories for listeners. 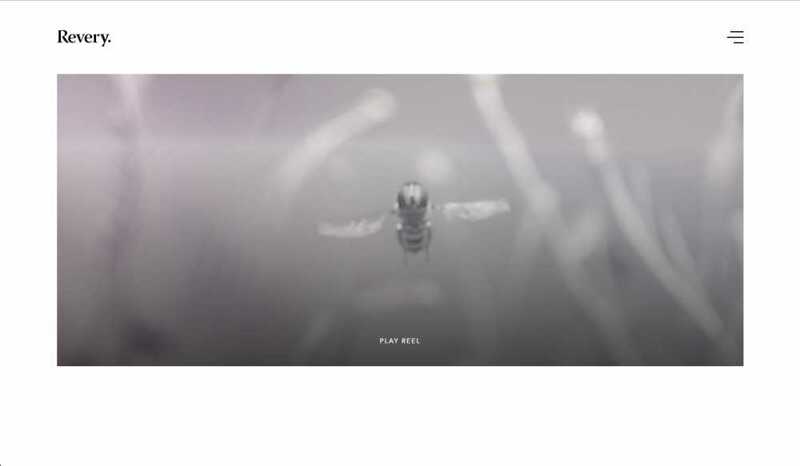 The series is where our interests in information design, production, and the natural universe intersect. A fourth poster is in the works. If you would like to purchase a Space Poster, just email us—we sell digital files that can be printed on any laser plotter, and fit in a standard IKEA frame. $15 for a single file, or all three for $40. At the height of the Space Race and with the manned moon landing only a few years out, the need for international space law became evident. The Space Treaty represents the basic legal framework, stating that the moon and other celestial bodies should only be used for peaceful purposes, that no country can claim ownership of any planet or celestial resource, and that any exploration of outer space shall be done to benefit all countries. The Solar System is the second in our poster series. It’s impossible to accurately represent the scale of our solar system in 12 sq. ft., but we hope we’ve successfully illustrated the expansiveness of our little corner of the universe. The third installment in our space poster series, we turn our gaze to Earth’s only natural satellite. This photo was taken from Apollo 15 on its trip back to Earth. Upper Left Roasters is a beautiful café and roastery in the Ladd’s Addition neighborhood of Portland. We partnered with The Pressure to bring Upper Left’s brand (and the look and feel of their space) to the web. The result was a fun, irreverent design—including a proposal to uniquely position photos for each visitor. We also built the first iteration of their online shop (prior to their current Shopify site), and are currently working on a new, consolidated version of their sales + information platform. 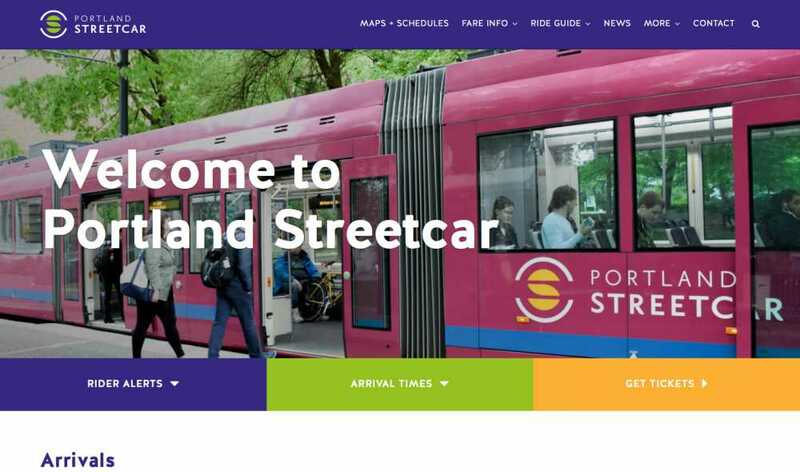 Launched in collaboration with Brave New Day, Portland Streetcar's new platform is a combination of a deep, diverse body of content and data. Unique accessibility and management requirements, made this a truly rewarding and challenging project. World Coffee Research is a non-profit committed to growing, protecting, and diversifying global coffee agriculture, while improving the livelihoods of the people who produce it. We've worked on a number of print and digital projects for WCR, but this interactive variety catalog is our most ambitious collaboration to date. 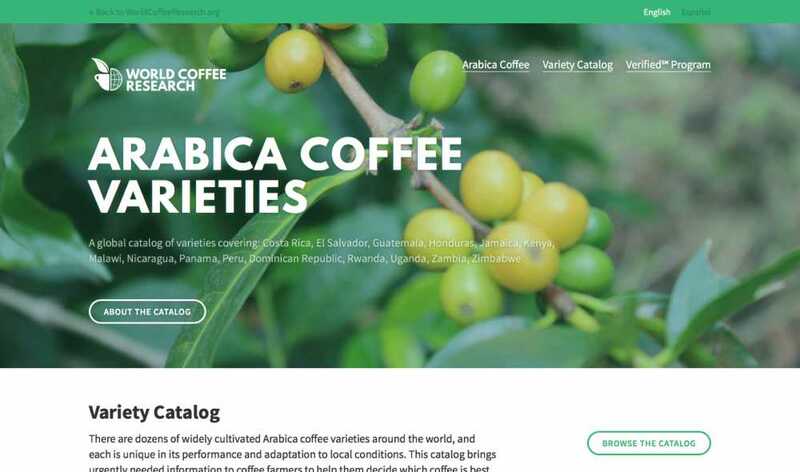 Behind-the-scenes, the Variety Catalog is a repository of varietal data, used to populate the website, as well as generate printable PDFs for use offline. World Coffee Research’s Sensory Lexicon is a tool for understanding and measuring coffee’s flavors and aromas. We helped WCR's communications director synthesize raw research output into a carefully-structured and maintainable document, ready for publication in print and online. With this project, we were provided a huge amount of quantitative and qualitative data, so balancing design with maintainability was key to the project. A streamlined table-based system was implemented to keep formatting automatic and predictable. In addition to the typographic content of the Lexicon, we developed a series of supporting icons for use throughout the final document. Tola is a suite of technology products incubated at Mercy Corps, built to collect and analyze data generated by their various initiatives around the world. We were asked to develop a brand system and website framework for the evolving ecosystem of tools. At the time, everyone at Tola was an engineer—they were adamant about avoiding additional infrastructure for marketing materials, so we provided a suite of easily updatable static site templates (driven by Markdown files) that could be edited and published via GitHub Pages. Tola is the Pashto word for “complete”. Made up of three platforms with a roadmap for expansion based on clients’ usage—they needed a flexible brand that could grow with them as they release new products. Alongside the core wordmark, we developed a branding system focused on type, color, and iconography. Additional illustrations were created to be used in diagrams and presentations to illuminate typical workflows for clients. We also created a series of modular, elastic product sites that could be used as a framework to build additional sites as their services expand. 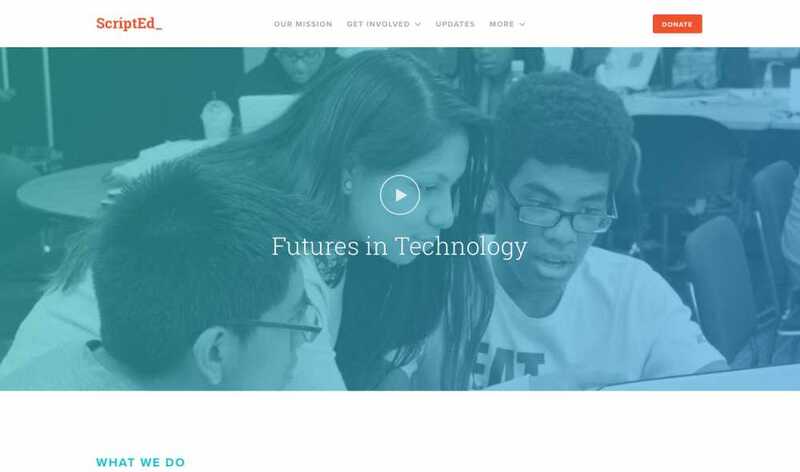 ScriptEd is a New York-based non-profit that makes technology education available to underserved high school students. Their charter to create access to careers in technology has been near and dear to us, from the moment they first approached us. We have been lucky to collaborate with ScriptEd for a number of years on a variety of print and digital projects. Only minor changes were required to set the stage for their future brand assets and website. The new wordmark is largely based on a simple programming command prompt. Along with fresh, bright colors, bold image treatments, and energetic iconography, our revamp captures and modernizes the spirit and joviality of their existing identity. We expanded the ScriptEd visual language into a number of print materials including annual reports. The website, launched in 2014, has remained a powerful communication tool for ScriptEd. Interested in working with us? We collaborate with businesses, non-profits, and other creative groups. Start the conversation by sending us a message at hello@oof.studio. Let us know a bit about your project, your budget, and when you’d like to start.